Brush sausages with half of the lime juice; set aside remaining lime juice. Combine tomatoes, avocado, onion, remaining lime juice, cilantro, jalapeno and salt. Grill sausages according to package directions, turning frequently and brushing with reserved lime juice. 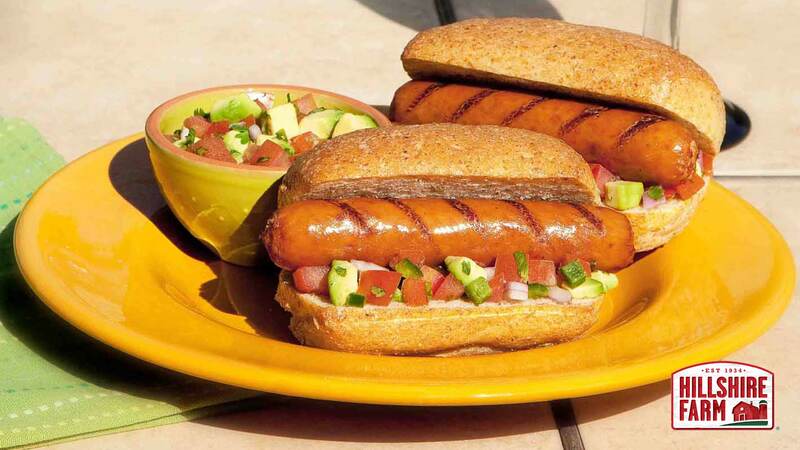 Place one grilled sausage in each roll and generously top with avocado mixture.